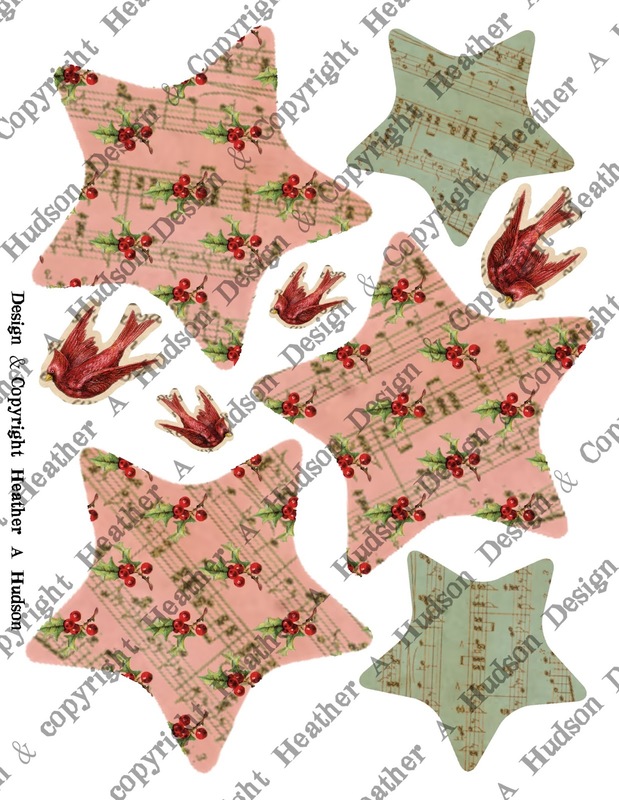 The Cardinal one is tiny...would be a great Ornament for a Feather tree. 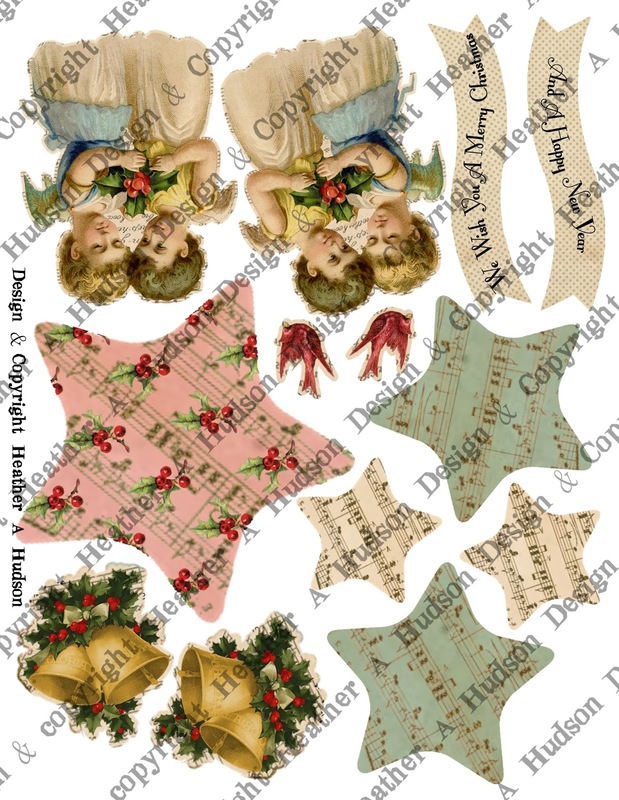 They could be individual ornaments...or grouped together or combined with some of my other Christmas Ornament Collage sheets. Yesterday my Post was published before I got the chance to have my collage sheet ready for Etsy...so I will share here so you can easily see it in your email. You can find the Angel Christmas Ornament collage sheet set $6 in my Etsy here. If you print out the sheet above twice and the sheet below once...you can make either two ornaments that are finished on the back and front (each containing all three ornaments I have in the photos) or You can make 4 with just the fronts finished...and you could print one of my digital papers on the back...and they still will look pretty :0) On the sheet below there is an additional set of the aqua blue stars with slightly larger cardinals...for another ornament. Below you can see how the sheets look printed out and how I went about using my sheets in my tutorial video. Absolutely GORGEOUS, Heather. Thanks so much for sharing in our challenge. It's always such a joy to see your amazing handiwork. This is gorgeous....I love this kind of creations....beautiful. A very beautiful creation ! The angels are lovely ! Great ornament Heather! Thanks so much for participating in our Really Reasonable Ribbon Challenge. Heather, these are so lovely! Feels like they came right out of a trunk in Grandma's attic! Thank you so much for sharing with us at the Frilly and Funkie "Home for the Holidays" challenge! This card is so beautiful! Thanks for your participation in WLVC!